Class Act Events is the premiere event coordinator in Oregon for conferences, festivals, galas, seminars, legislative events, and more. For nearly 30 years, Class Act Events' team of professional event coordinators has been designing and executing some of the most creative and memorable corporate and public events in the area from conferences, seminars and legislative events to weddings, fundraisers, and galas. 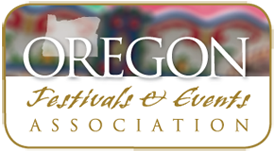 If you're looking for an event coordinator in Oregon, you've come to the right place. Planning any type of special event involves countless details. The team at Class Act Events has the wisdom to anticipate your needs as our client and the experience to execute your event in an efficient and cost-effective manner. We are here to help you stay organized while creating your vision, identify potential obstacles along the way, attend to the details and institute creative problem solving tactics to ensure your success and your guests' experience is wonderful and memorable. We understand that capable people still need help turning their visions into reality and we are here to provide you with the confidence and expertise you need to move forward. CONTACT US today to schedule a consultation. Your next event starts here!